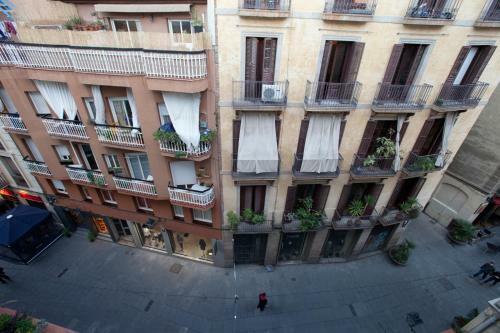 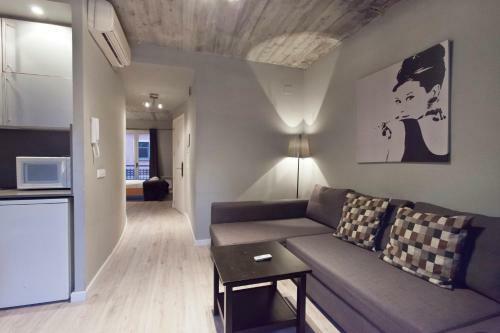 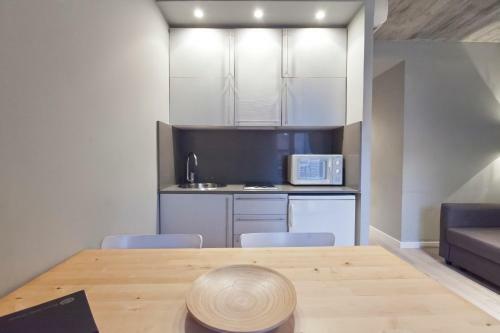 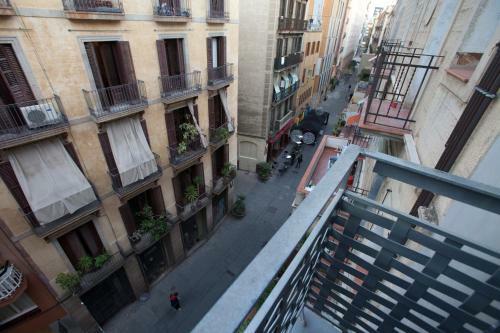 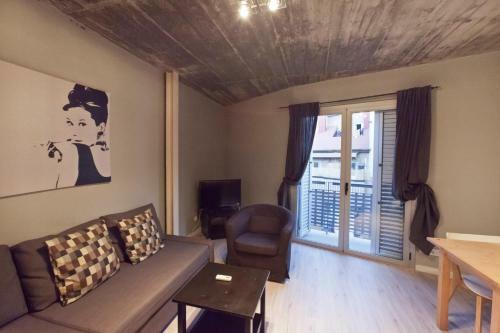 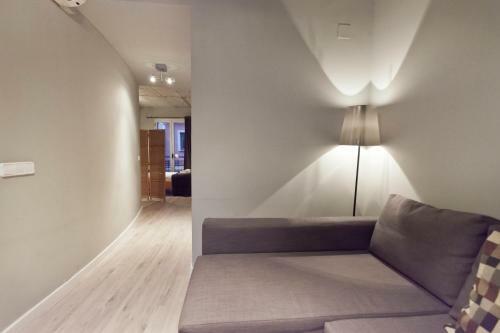 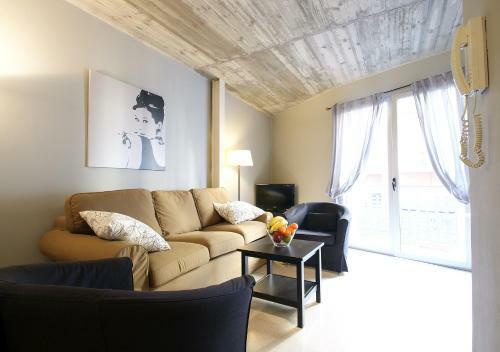 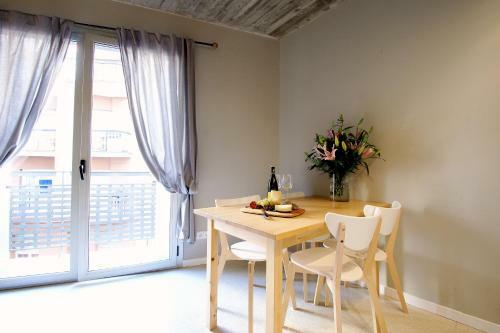 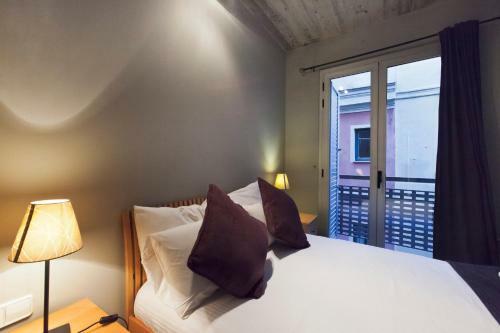 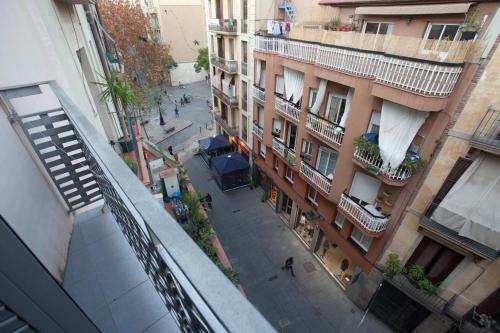 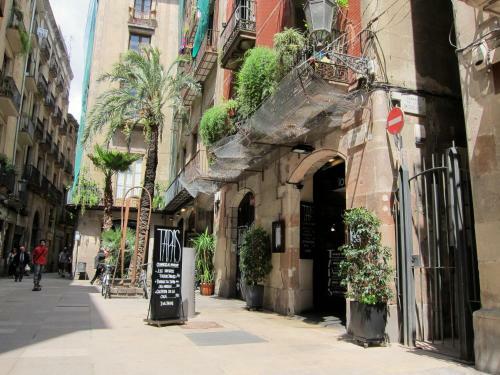 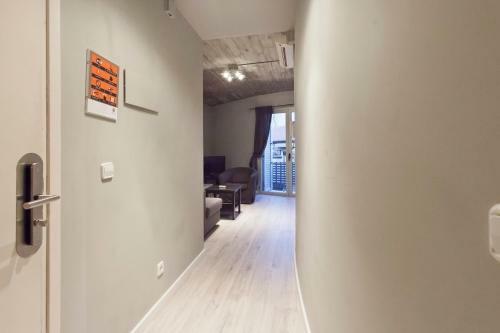 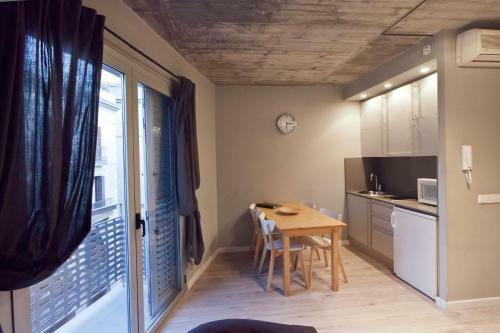 Located in the trendy area of El Born, near the port area of the city, these renovated apartments give you wonderful views over the Passeig del Borne. 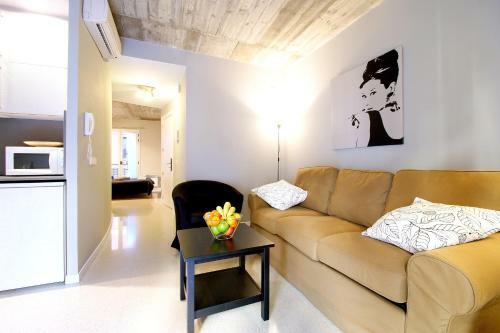 Enjoy a relaxing stay in these apartments. 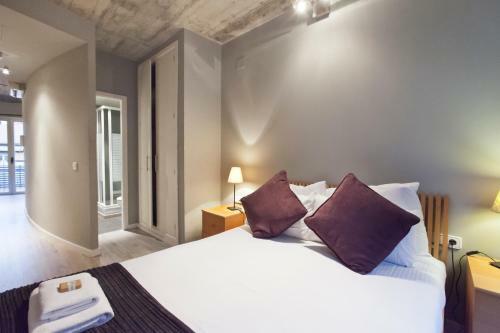 They boast a highly independent and private atmosphere, ideal for booking a stay as a couple or family. 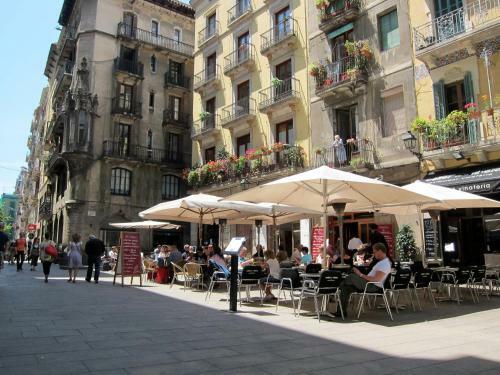 You can look around the beautiful shops and boutiques of the Borne district and grab a coffee in one of the trendy cafes. 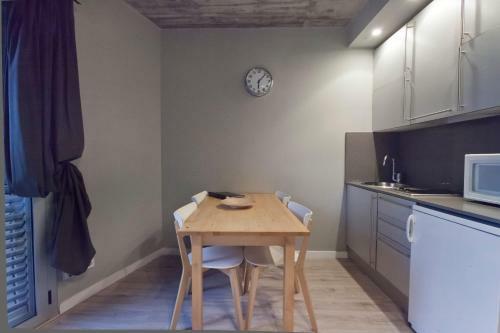 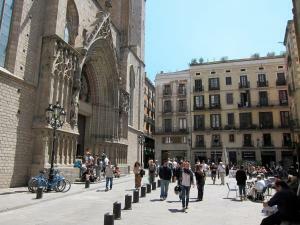 These apartments are located only 5 minutes on foot from the city centre and a short walk from the Cathedral in the Gothic Quarter. 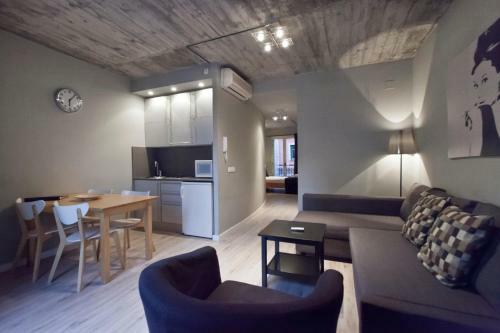 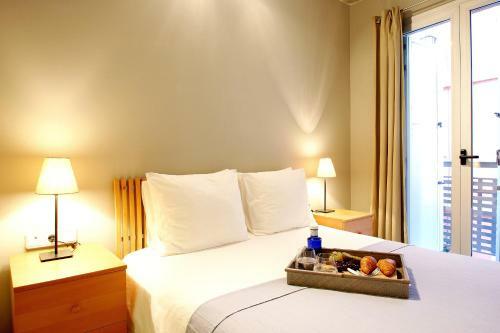 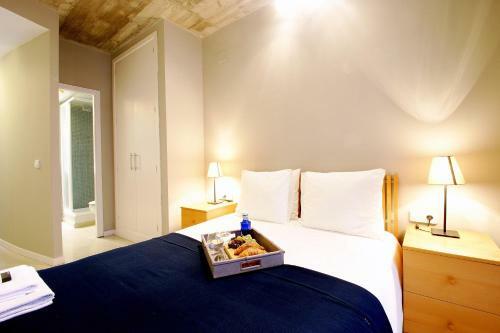 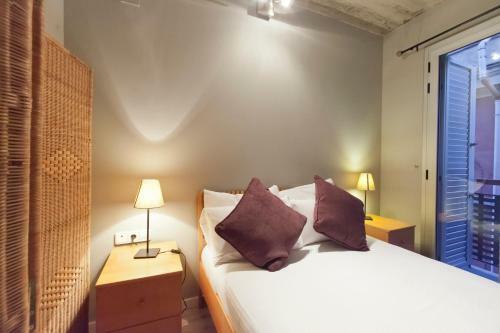 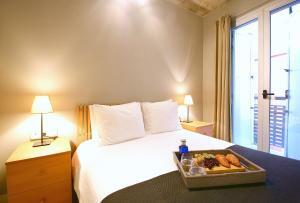 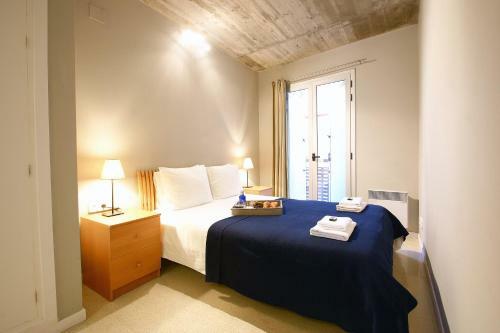 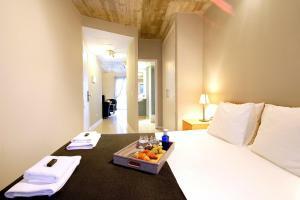 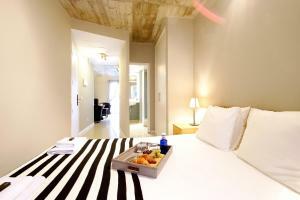 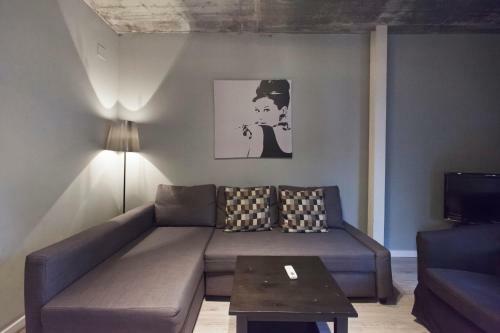 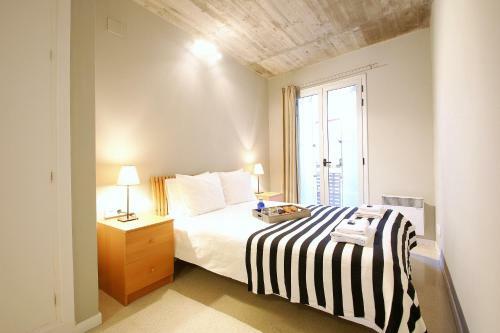 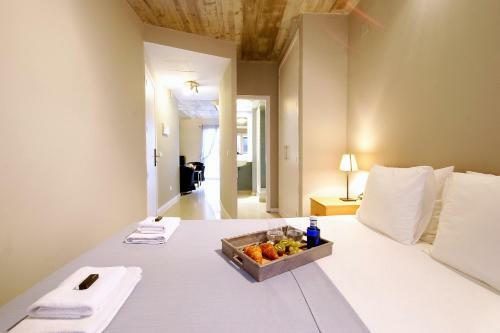 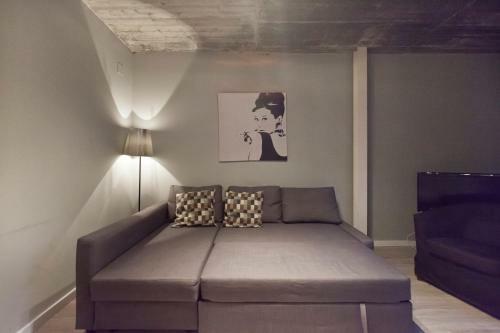 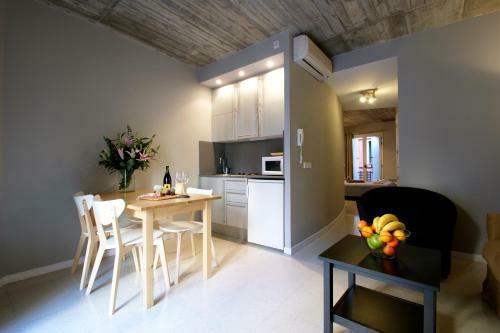 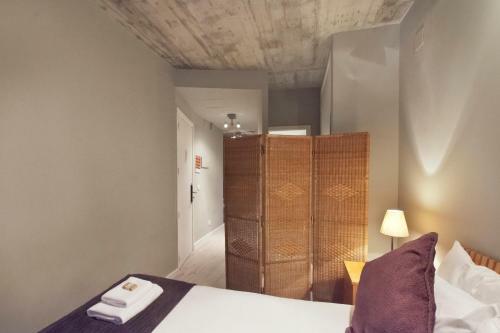 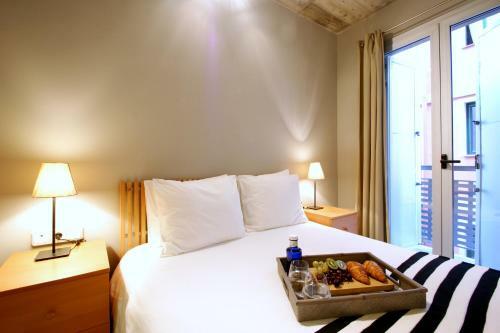 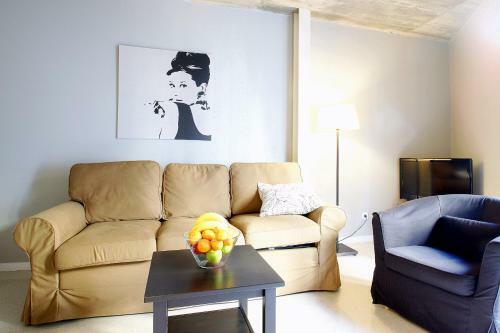 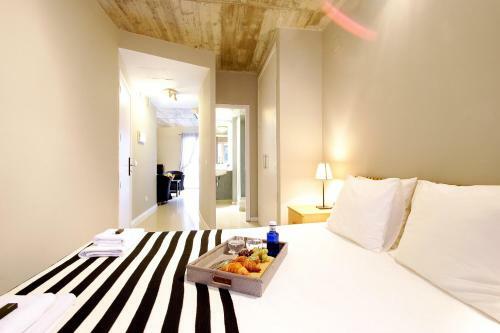 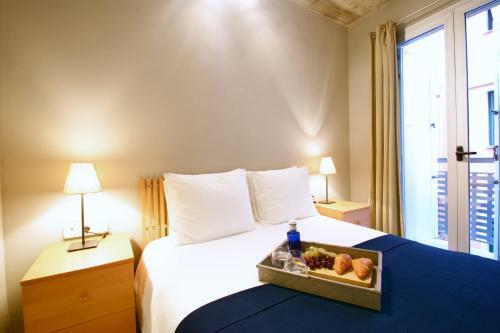 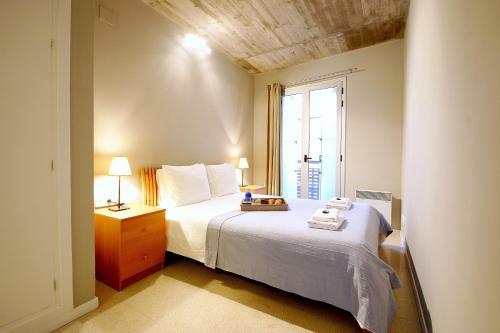 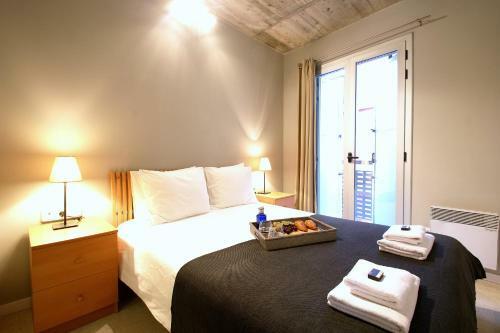 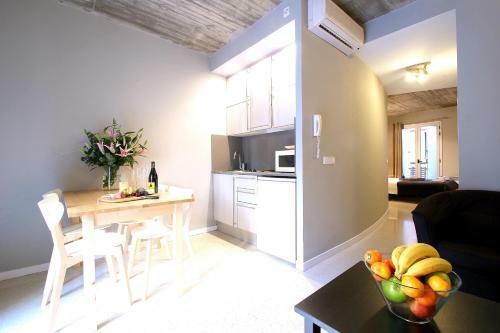 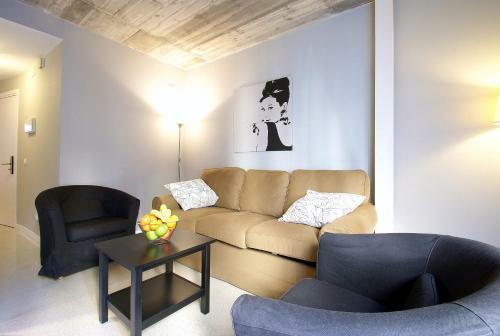 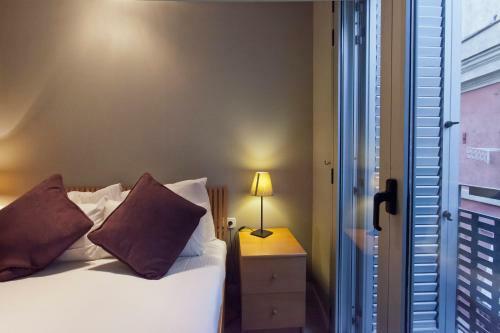 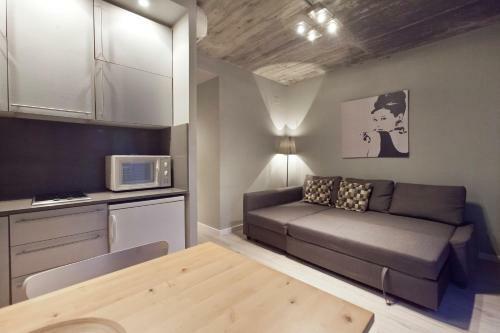 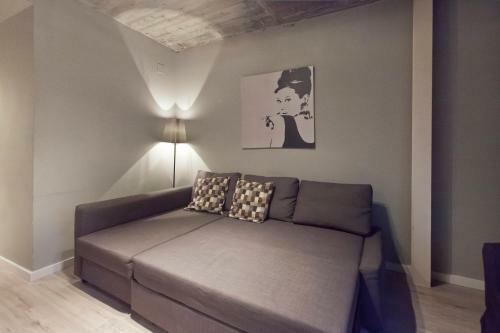 These studio lofts can accommodate up to 4 people: they have 1 double bed and in 1 double sofa bed. 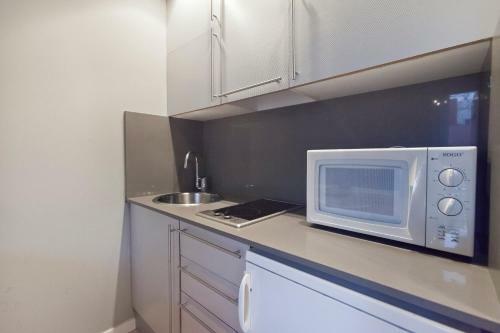 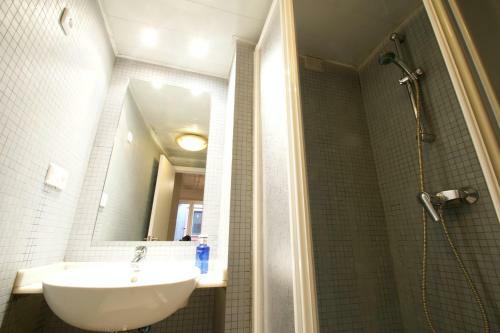 It comes with a complete bathroom with shower and a fully-equipped American kitchen with all appliances. 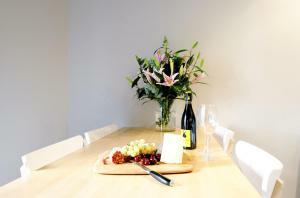 Bed linen, towels, glasses, pots, crockery and cutlery are all provided. 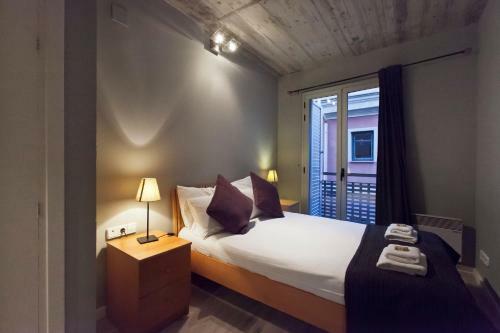 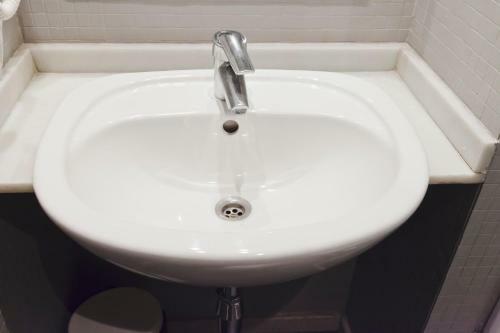 Rate: € 105.19 ... € 198.00; select dates below to get current rates.